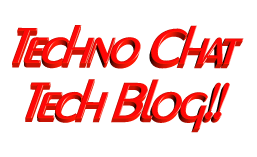 KON Boot | Techno Chat|Tech Blog!! Now any user can logon to windows or linux system with Administrator or Root privilege, no matter what kind of permission he/she have by simply using a bootable floppy or bootable CD. And it is possible by using Kon-Boot. Kon-Boot is a prototype piece of software which allows to change contents of a linux kernel (and now Windows kernel also!!!) on the fly (while booting). In the current compilation state it allows to log into a linux system as ‘root‘ user without typing the correct password or to elevate privileges from current user to root. For Windows systems it allows to enter any password protected profile without any knowledge of the password. Posted in Admin Tools, Server, Tech Review, Windows. Tagged Autologin, Bypass Linux Logon, Bypass Logon To Windows, Bypass Windows 7 Logon, Bypass Windows Login, Bypass Windows Logon, Bypass Windows Vista Logon, Bypass Windows XP Logon, Bypassing Windows Vista Logon, Download Kon Boot, Hack Into Windows XP Administrator Account, hack Linux Logon, Hack Windows 7, Hack Windows 7 Admin, Hack Windows 7 Administrator, Hack Windows XP Admin, Hacking, Hacking Windows 7, Hacking Windows XP, How to login to windows without entering password, KON Boot, Logon Linux as root, root logon hack, root logon without password, Using Kon-boot, Windows 7 Password Hack, Windows autologin without password. If the automobile had followed the same development cycle as the computer, a Rolls-Royce would today cost $100, get a million miles per gallon, and explode once a year, killing everyone inside.